In the depths of an unmapped cave, forensic anthropologist Diane Fallon makes an astonishing discovery: the decades-old skeleton of a caving victim. Soon, the remains of two more bodies are found—one in an old car submerged in the waters of an abandoned quarry, another buried in the Georgia woods. 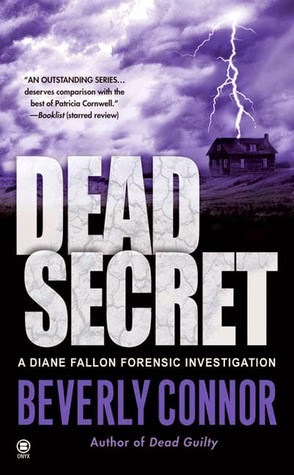 At first, with nothing to link the dissimilar victims except desiccated bones, Diane can't fathom the connection. But someone in her shadow does. It's the key to a mystery that reaches back seventy years in a heritage of love, greed, and murder—and an unearthed family secret that still holds the power to kill. Another one, yes (and there are more to come!). This one was back up to the first one's standard, I thought. I really enjoyed it. Although I did consider that the next one might start off immediately after this one (based on how it ended), but I skimmed a few pages and it didn't ... otherwise I would've had to move directly onto it! I am still really enjoying the characters.